The Best Way To Get Around Ocean City, MD! Traveling by water to get to and from the west side of Assawoman Bay or to move uptown or downtown in Ocean City – especially during the evening hours – makes a lot of sense. 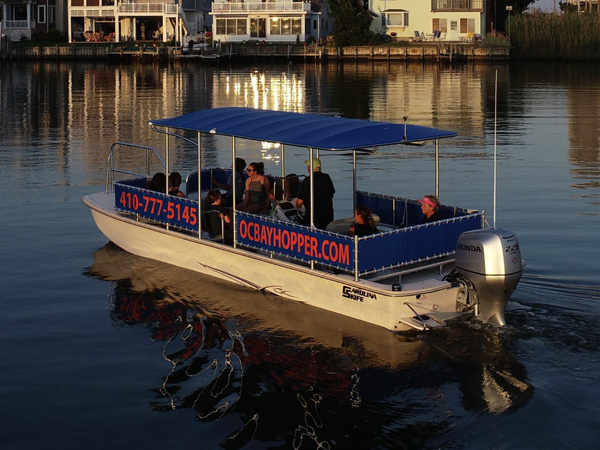 With the OC Bay Hopper you can get around OC without the headache of fighting traffic or scrambling to find parking. And, traveling on the Bay is a beautiful and relaxing experience. Feel free to BYOB on your trip!